The Fontana table lamp 1853/0 Piccolo by Fontana Arte is a light that suits nearly any furniture. With its modest white it can easily be combined with vibrant colours and various patterns. This lamp visually brings together a classical design and an unusual charm: The typical formed lampshade is attached to a bulbous body. 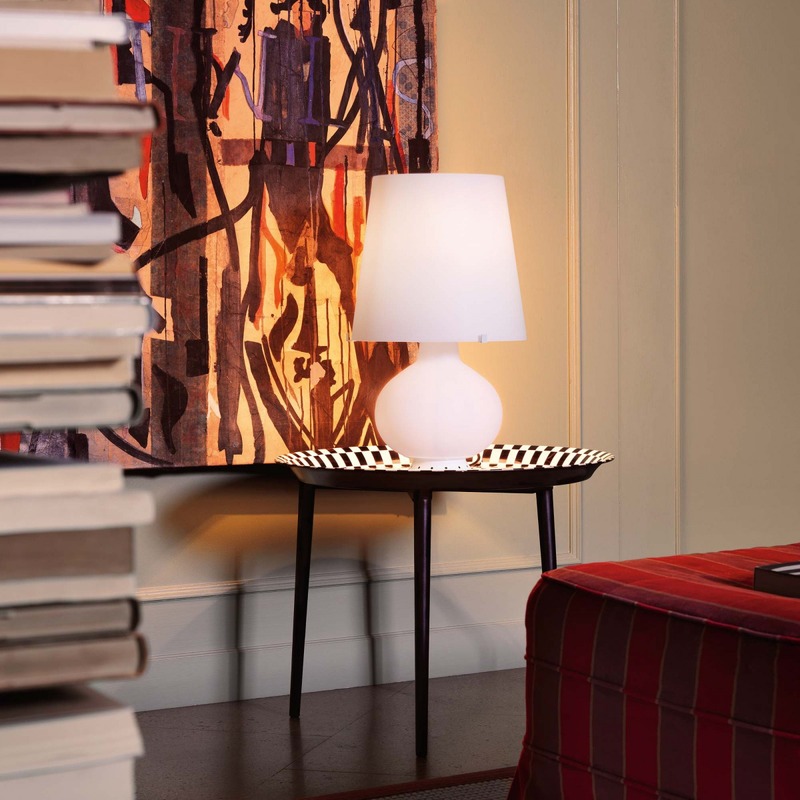 This Fontana Arte table light has a double-switching and contrasting its main colour cable and switch are both black. The base of Fontana 1853/0 Piccolo is made of white painted metal. Lampshade and body consist of white, satinised and mouth-blown glass, which provides a comfortable light atmosphere. The table lamp is as well available in the sizes Medio (medium) and Grande (large). This smallest Fontana by Fontana Arte works pretty well as a bedside or a reading light.